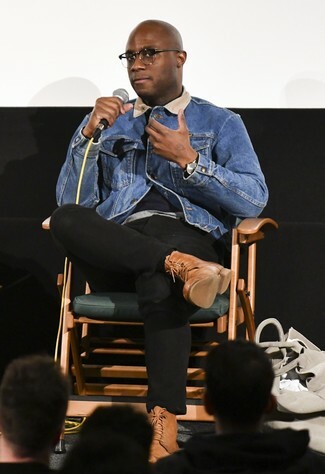 If you're in search of a casual yet on-trend ensemble, marry a blue denim jacket with khaki cargo pants. As well as totally comfortable, these items look stunning together. 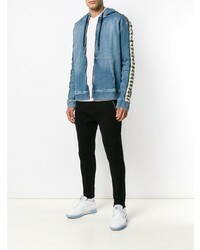 Consider teaming a Kappa branded sleeves denim hoodie from farfetch.com with light blue ripped skinny jeans if you're hunting for an outfit idea for when you want to look casually cool. White leather low top sneakers will instantly smarten up even the laziest of looks. 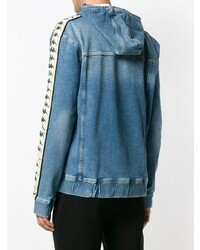 If you're after a casual yet on-trend look, consider wearing a Kappa branded sleeves denim hoodie from farfetch.com and khaki chinos. As well as totally comfy, both garments look incredible paired together. When it comes to shoes, this outfit is round off well with black plimsolls. 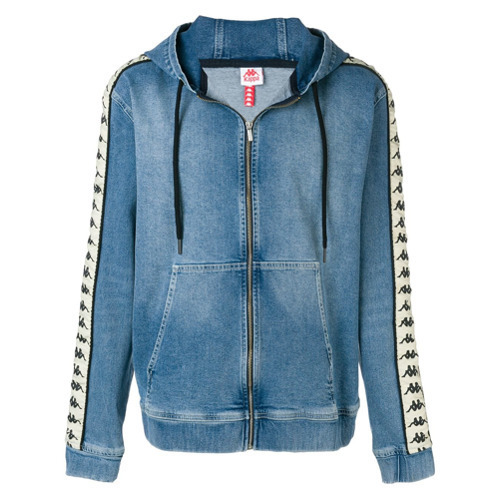 If you're after a casual yet sharp getup, make a Kappa branded sleeves denim hoodie and blue jeans your outfit choice. Both of these garments are very comfy and they also look great when paired together. Rocking a pair of burgundy leather casual boots is an easy way to add some flair to your getup. 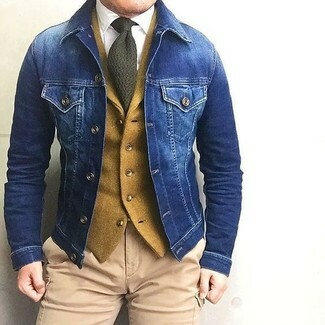 If you're on the lookout for a casual yet stylish ensemble, try pairing a blue denim jacket with blue jeans. These items are totally comfy and will look great when worn together. 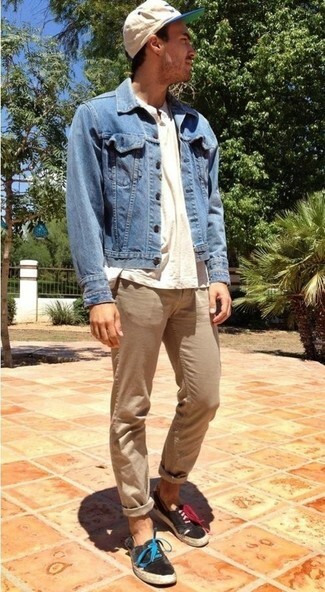 When it comes to shoes, this getup is finished off nicely with green leather low top sneakers. 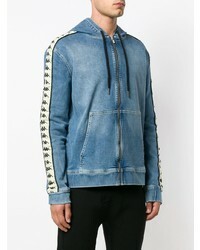 If you're a fan of classic combos, then you'll love this combination of a Kappa Branded Sleeves Denim Hoodie from farfetch.com and black chinos. 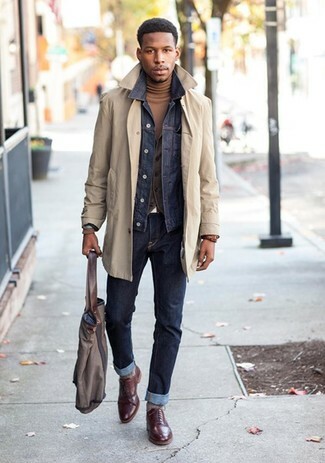 For something more on the classy side to complement your outfit, throw in brown leather casual boots. 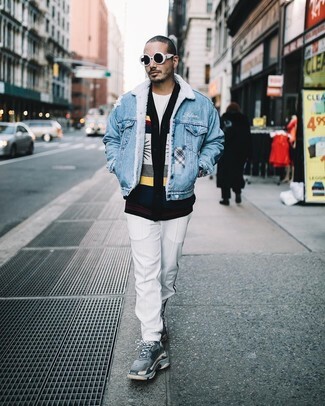 If you're on the lookout for a casual yet dapper getup, wear a Kappa branded sleeves denim hoodie from farfetch.com and white chinos. As well as very comfortable, these garments look great paired together. Break up your outfit with more casual footwear, such as this pair of grey athletic shoes. 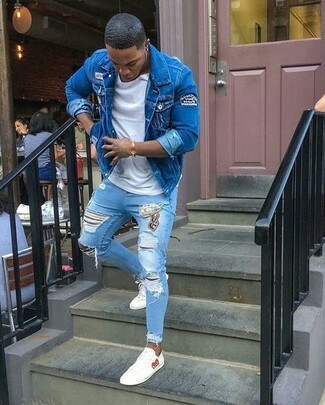 If you're on a mission for a casual yet stylish getup, wear a blue denim jacket and charcoal chinos. Both of these pieces are super comfortable and they will also look great when paired together. If you're searching for a casual yet dapper getup, pair a Kappa branded sleeves denim hoodie with black chinos. Both garments are super comfortable and will look great when worn together. You could perhaps get a little creative in the shoe department and dress up your outfit with white leather loafers.